Many years ago, as we finished an especially wonderful trip to Tassie that included a paddle around Lake St Clair, lots of climbs, deciduous beech in early colour, and a night with a ghost at Twilight Tarn, my partner spotted a book called ‘The Abels, vol 1’. She bought me a copy, and it quickly turned into a perennial favourite. It was a great idea, a book on the ‘Abels’ – Tasmania’s mountains over 1,100 metres in height, full of sometimes cryptic track notes, hopelessly optimistic walking times, and incredibly gorgeous photos of rocky peaks across the central and north east parts of the state. The term Abel comes from Abel Tasman, the European who ‘discovered’ Tasmania. Each mountain covered in the book had a brief essay, map, and photo. In some ways it was the perfect guidebook: it gave you a sense of the mountain and some basic descriptions of how to get there and the actual walk to the summit. The access notes include hazards like rocky terrain or cliffs, but apart from that it left much of the ‘adventure’ intact, as the reader/ walker still had to find their way across the landscape, with just a very bare bones approach to the track notes. In contrast, I find that most walking guides being published now days are so ‘dumbed down’, that I half expect them to have notes saying things like ‘stop and take a photo here’. And while I heartily support anything that gets people out into the wild on foot, I love the very basic details included in the walking notes in Volume 1. A decade and a half later, volume 2 has finally arrived. It was well worth the wait. The second tome covers the west and south west of the state. And the amazing diversity of peaks to be found across this part of Tasmania are beautifully presented in the images. This volume is considerably longer than the first, with good introductory essays on animals, plants, geology and weather, making it a perfect guide for your backpack and not just the bookshelf. An obvious gap in these essays could have been filled with either an indigenous history or contemporary perspective. As with the first volume, it is like a menu of delicious food, opening lots of options for peaks you might have glimpsed from afar or seen on a map, but weren’t quite sure about how to get there or what the terrain might be like. This book is, at its core, a love song for the mountains, and feels like the culmination of decades of work by the editor, Bill Wilkinson, and his team of co-walkers. I was actually vaguely reminded of Gary Snyder’s classic poem Mountains and Rivers Without End, which is often seen as being the product of decades of thinking, walking and working, and which had to ‘wait’ many years to be written. One other aspect of the book that I loved was the approach to the individual mountains in Vol 2 – and the description of how they sit in the landscape – is much more focused on Being in the mountains rather than Ticking off conquests on a list. While it’s a relatively expensive book, as a full colour, small print operation, its well worth supporting if you can. 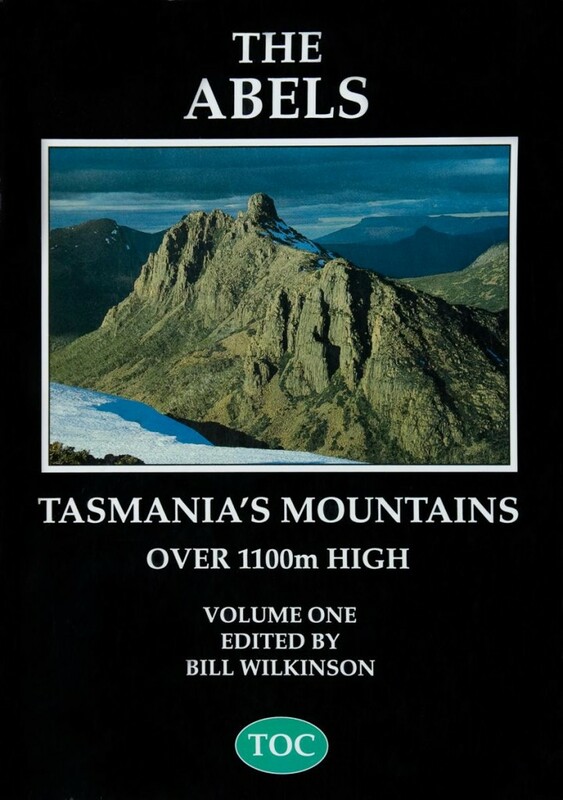 This book is a significant addition to the literature on wild Tasmania. Anyone who is remotely obsessed with mountain landscapes will find themselves lost for hours in this wonderful book. The Abels Volume 2 (212 pages) including P&P is $52.95. To order a copy, please send a cheque or money order to Bill Wilkinson, PO Box 599, Moonah Tas 7009. It is available in some Tasmanian bookstores for $39.95.